Welcome to ToddWright.net 100 Days to 50: Day 1 – We Have Finally Arrived! 100 Days to 50: Day 1 – We Have Finally Arrived! I’m looking forward to the next segment of life, to the age of 60. I am moving more and more into the realm of mentoring others and preparing to enter my final seasons of life with excellence and making a lasting impact. I’m leaning and looking forward to the journey ahead. Thank you again for your patience and friendship in this evaluation journey of the last 100 days! I hope you have learned a few things that will help you evaluate your own journey. I’m grateful! 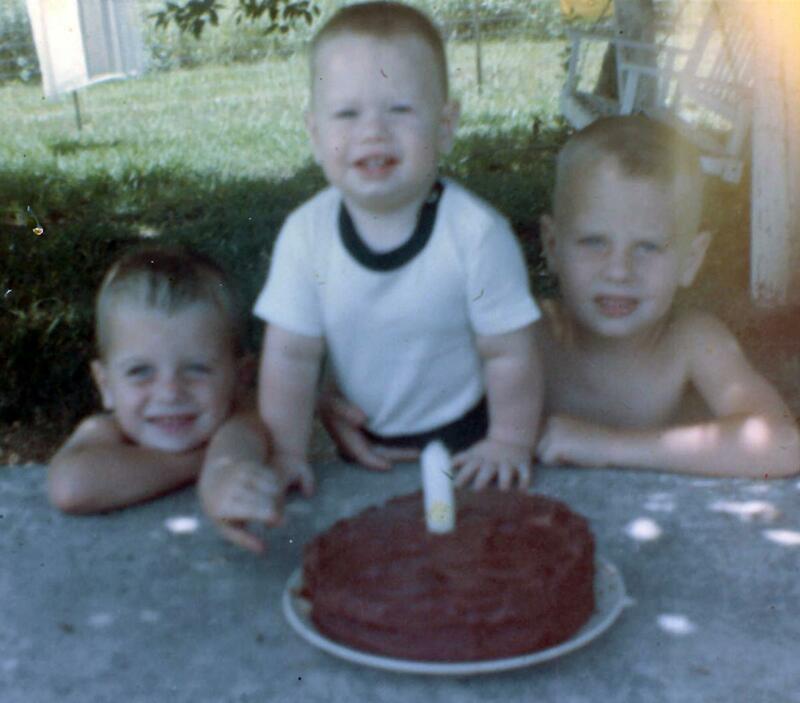 Here I am at my first birthday celebration with my two brothers.